Several years ago, I had a minor health issue while my doctor was on vacation, so I went to see the MD who was covering for him. I am middle-aged (but I don’t look it). Maybe I USED to be. It’s actually rather amazing that I am as relaxed as I am, considering the stuff I worried about as a kid. Thanks to Mom and Grandma, mostly, I had all kinds of phobias. I knew that if I stuck my toe in the lake twenty-nine minutes after I ate, I would surely get a cramp and die. I knew that if I played with a stick I would poke my eye out. If I took a bath in a thunderstorm, I would be electrocuted. If I sat on the ground in winter, I would get a cold in my kidneys. If I crossed my eyes, they would freeze that way. If I stepped on a nail, I would get lockjaw, and the doctors would have to knock my teeth out to feed me. If I got bit by a darning needle dragonfly, it would sew my mouth shut. If I ate a watermelon seed, it would grow in my stomach until my body exploded. If I forgot my hat on confession day, I would burn in purgatory. If I forgot my homework, I would burn in purgatory. If I skipped Mass on Sunday, I would burn in hell. And it would all happen really soon, because any day now the communists were coming to kill all the Catholics. That birds could pluck your eyes out. King Kong could reach through your bedroom window and grab you. Any mud puddle might be quicksand. If I climbed a tree, I would fall out and be paralyzed. My parents were likely to die at any moment, and I would be sent to live with someone really mean. Ghosts and vampires and monsters were everywhere. It is a miracle I can even leave the house. 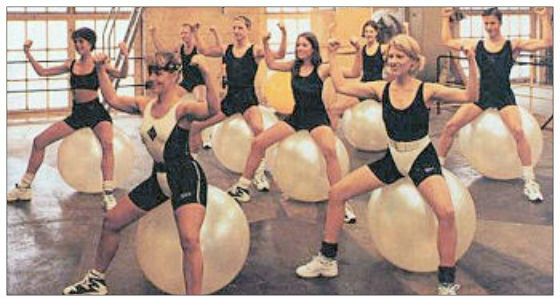 WHATEVER YOU DO, DON’T EVER SWALLOW YOUR GUM!!!!! I was told the same things….except about the bike and I didn’t go to Catholic school so I was spared those warnings. And now I know not to swallow gum. It’s always something! There is so MUCH to worry about! Your concerns as a youth were not directed exclusively at you as a girl. I had the same stories told to me for many years. And yet, here I am. It is a miracle we have survived. Swore like a trooper for years, when I was alone with the “guys”, and still a sewing needle never caught up with me to sew my lips shut! Guess I lucked out. I recently found a statement from when I was young. The nurse had written, “Patient is having crazy symptoms”. I’m not sure if she meant they didn’t make much sense, or she was worried about my sanity?! Maybe they should think before they write this stuff down! I’m sure they were “crazy symptoms” and not “symptoms of crazy”. Great writing, I am trying to think back, I don’t think I was warned about all the things you have said. Or if I was I must not have been listening. Poor you, it seems you took all that worrying advice to heart. My sister has a young son, when he gets scared she cuddles him and mothers him. One day he was in his grandma’s house when I was there. There is a big doll in one of the rooms that he was scared of. My sister very earnestly told me, don’t bring him in that room as he is scared of the doll. As soon as I could I brought him to that room. He was huddled behind me trying to hide from the doll. I asked him what was scary about the doll and he said he didn’t know, he was just scared of it. I left him by the door and went over to the doll and kicked it. In the second it took for his eyes to relay the message to his brain he went from fear to a great big devilish grin. I said if you are scared of something then try kicking it. I know that isn’t the best advice to give a little boy but he realised there were other ways to deal with fear. This and other lessons have had there cost of course. When we have family dinners, my nephew and I are not allowed sit beside each other because it always ends up with him getting in trouble with my sister!!!! We believe what adults tell us, even if the advice is neurotic. It is a pity you didn’t have an uncle to tell you to roll in the snow instead of being afraid of it! I think you gave that kid very good advice! How funny, my mum is a nurse too. Oops maybe there’s something to it after all! Maybe they just thought they would utilize their extra credibility. Most of those things I also heard as a child. I had a lot of fears, especially the devil’s darning needle (dragonfly). I was sure it was going to sew my mouth shut. Or that bats would get into my hair if I didn’t get home before dark in the summer. Great post! Bats were certain to get in your hair if you didn’t come home before dark. That last picture made me swallow my gum laughing. Oh-Oh! Be very careful later on today! I know, right? How is it parents countries apart all knew the same warning–almost verbatim? Unbelievable, and verbatim. How does that happen? I never knew those bike and kidney ones but seem pretty accurate. I did know about the vampires. The way to protect yourself is to make sure every inch of your body is under the blanket. Even the blanket wouldn’t protect me from King Kong. I was really afraid he would reach through the window in the middle of the night. How did I not see that last one coming until my coffee came out my nose? Now that you have brought back all the horrors that I spent years in therapy trying to forget, I think I might go back to bed and pull the covers over my face. Do NOT sleep with covers over your face. You will suffocate. Did you Mom not tell you THAT? OK, I will keep my head out. I still don’t dry my hair when it’s raining because you CAN get electrocuted and die by doing that…………………….right? I have no kids, but I am certain my brother’s kids are going to put an eye out any day now. Let me tell you this: I work in a healthcare setting, and we chart on computer. There are little boxes everywhere to save time on typing. Sometimes, when I proofread, I see that I accidentally checked the “anxious” box when I intended to check “calm.” Once I checked the box that said “combative” for a patient that was perfectly lovely. Once I received a report that said a patient had “trouble using stairs” when the patient had, in fact, been wheelchair bound for years. Anyway, just thought Id share. Great post! I think the doctor was definitely checking the wrong box in my case. On the other hand, I was there because I was sick. Maybe being worried is an appropriate response to being sick. I just rolled my eyes till I could see my brain, I remembered all of those. When I rolled them back to continue reading I saw the picture and LMAO till my sides nearly split. That’s one of my all-time favorite photos. HAHAHAHAHA! It took a while before I connected the warning and the photo, then I about fell off my chair. Anxious, FUNNY middle-aged woman, eh? I’m glad to give you a laugh! My husband is a nervous wreck. But how can he NOT be?